What is hospice anyway? Most people are very confused or ignorant about the benefits of hospice, primarily because they have never needed it. 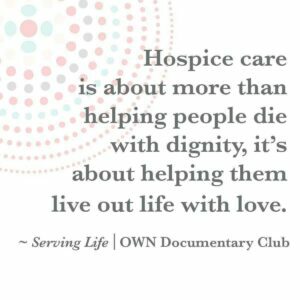 So what is hospice? 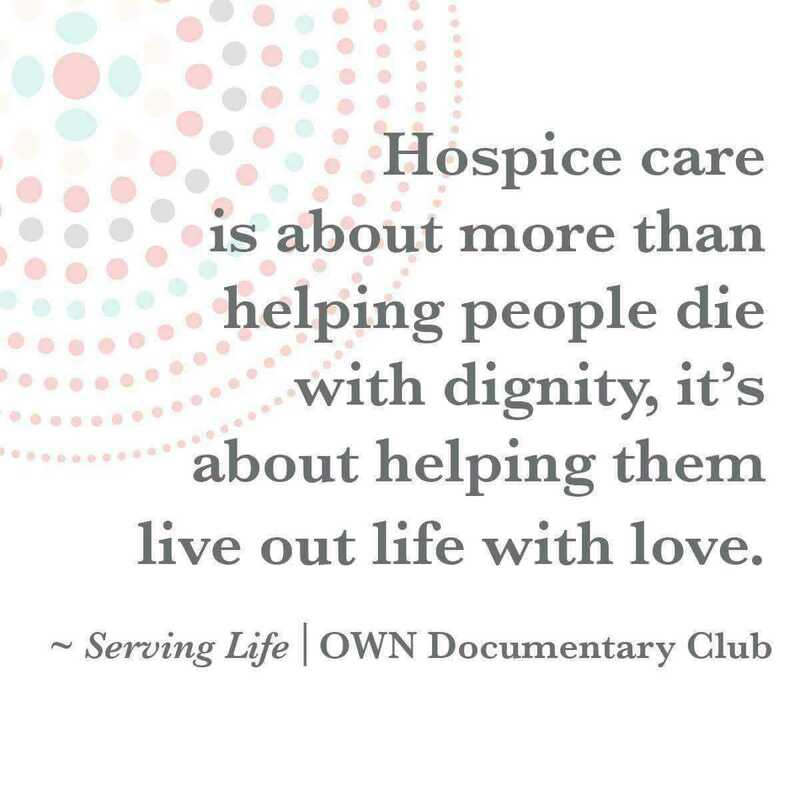 There are 2 parts to a hospice organization: First is palliative care services and second is hospice care. Palliative care is for people who are NOT actively dying, but have long term, chronic diseases such as CHF (congestive heart failure), COPD (chronic obstructive pulmonary disease), cardiac conditions, liver or kidney issues, Alzheimer’s disease, etc. Hospice care is for patients who a doctor, to the best of his or her ability, has determined has 6 months or less to live. The patients may have cancer, kidney failure, heart failure, severe diabetes, general health decline or any number of other diagnoses. Patients must make the determination to not seek any further treatment for their condition. In both situations, a doctor must recommend care for patients to be accepted into a hospice program. **Physicians, nurses and other medical professionals are available to assist or take over the care of the patient. **Services of chaplains, social workers and volunteers are available to assist the patient and the family. **All medications and assistive equipment/supplies, such as hospital beds, bed pads, incontinence products and wheelchairs are available to hospice patients at no cost. Keeping a patient as comfortable as possible .. “comfort care”… is a major goal of hospice organizations. **Palliative and hospice services are available no matter where a person lives: at home, in a hospital, assisted living or assisted living memory care community or nursing home. Some communities have a specialized facility for hospice patients who are living the final days of their life. There are many other benefits as well, and each organization may offer slightly different services. If your loved one is actively dying or you feel is near death, please contact one of your local hospice organizations. I can tell you from my professional experience that the men and women who work in the hospice field are a special breed of humans. They caring, loving, compassionate…. and they will make the total care of your loved their priority. Here are a few comments that I would like to share regarding hospice concerning my parents. (My mother had mouth cancer/ father Alzheimer’s Disease) The hospice staff who worked with us was fabulous! 1. The hospice team gave the family an objective assessment on my parents condition. They educated us on what was happening with our parents as these diseases progressed. They also examined the medications my parents were taking and offered some advice on what should be changed. 2. Hospice served as a “referee” when disagreements arose with my family over end-of-life decisions. 3. Hospice helped coordinate care and allowed us to spend time with our parents instead of making phone calls. Hospice arranged for bed, furniture, and morphine deliveries as an example. I must say - your website is very impressive. I found your website on the first page of the Search Engine.